Achieving the best customer experience at the lowest possible cost, with every customer contact, is the goal of support organizations everywhere. Many companies struggle to provide their customers with a consistent experience regardless of where around the globe their call is answered. Do your agents understand how their goals match up with the company and the customer? Do your managers and agents understand the balanced scorecard and how the senior management team is utilizing it? Are your tools globally consistent and effective or is time wasted using separate tools? From onboarding to off-boarding of customers and agents, we will review all aspects of your support business. We will look at processes, tools and scheduling and provide recommendations based on industry best practices and proven methodologies. How do your goals align with the expectations of your customers? Are you measuring things that will be of value to them? Have you engaged them in those conversations? Many companies use metrics that are of no value to their customers. We can help by transforming your current goals to value based goals to help your support team start utilizing metrics that will drive customer retention and loyalty. Does your organization have a balanced scorecard? Can you ensure your goals touch multiple quadrants of the scorecard? We can help you not only develop a balanced scorecard that meets your company charter, but also train the management team on the understanding and use of that scorecard. Do your agents have tools which are hampering their ability to effectively service the customer? We can guide you through a thorough evaluation process and ensure the tools you have are meeting your agents’ needs. We will work with you to develop a selection matrix based on your business needs and the needs of your customers. We will provide an objective third party assessment and assistance in choosing the right tool. We can also review RFP responses to ensure you are making the best selection. 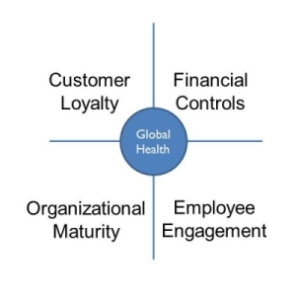 Our unique Global Health Check will provide your operation an accelerated diagnostic to compare and contrast your operation with best practices and results in your industry. 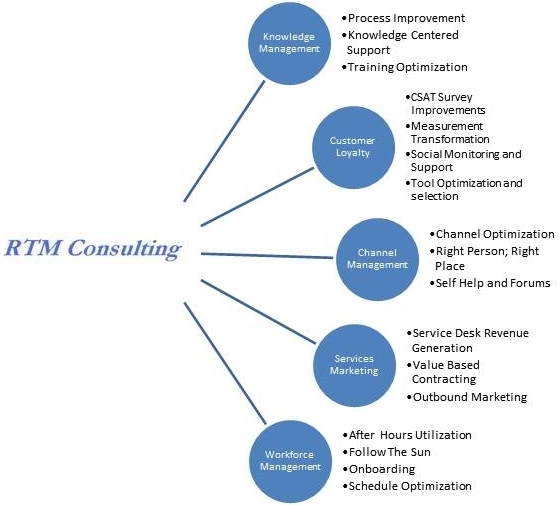 RTM Consulting will assess your environment versus our proven framework that will help you deliver services required to build loyalty and grow revenue at the lowest possible cost.